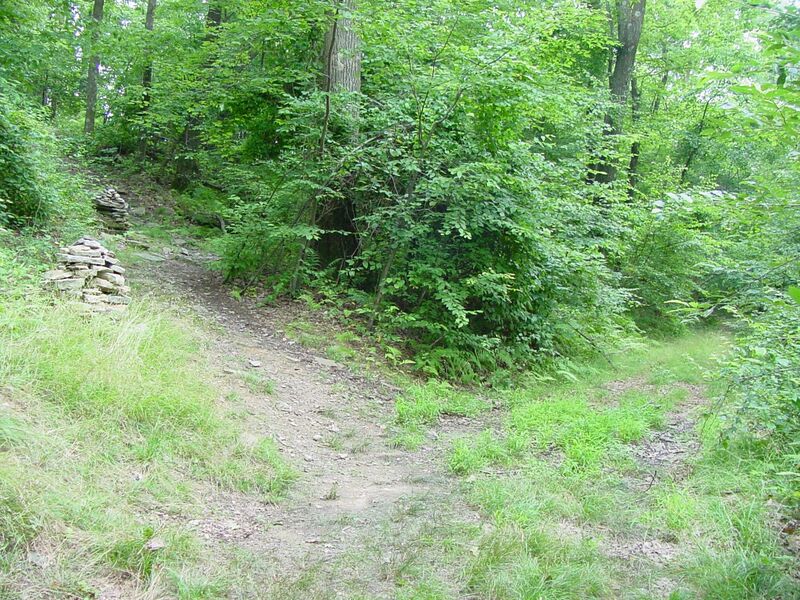 Additional Description: Here is where the trail leaves the jeep road. A blaze (out of frame on the right) points to the left where two cairns (piles of stone) mark the start of the foot trail to the crest. N39�.179', W79�.258'. Submitted: August 7, 2006, by J. J. Prats of Powell, Ohio.